Shakespeare’s Othello – Muslim Museum UK – Uncover the 1400 year relationship between Britain and Islam. Explore the history and heritage of Muslims in Britain. 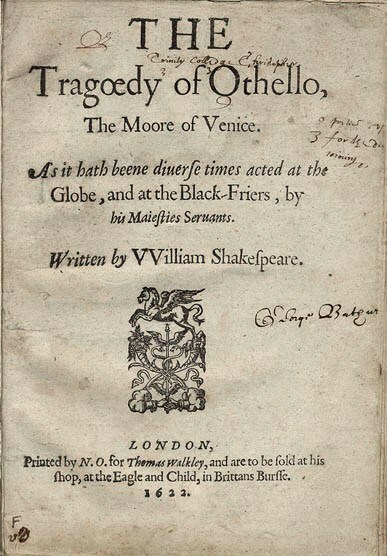 The Tragedy of Othello, the Moor of Venice is a tragedy by William Shakespeare, believed to have been written in approximately 1603. It is still often performed in professional and community theatres and has been the basis for numerous operatic, film and literary adaptations. 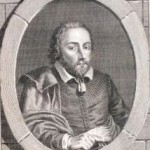 The work revolves around four central characters: Othello, a Moorish general in the Venetian army; his new wife, Desdemona; his lieutenant, Cassio; and his trusted ensign, Iago. Laurence Olivier (1964), Anthony Hopkins (1981) and Orson Welles ‘blacken up’ and Patrick Stewart (1997) played it white. 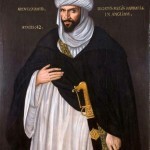 It is suggested that Abd el-Ouahed ben Messaoud ben Mohammed Anoun, ambassador of the Moorish Sultan of Morocco to Queen Elizabeth I in 1600, was the inspiration for Othello.